The Shins take Terminal 5. 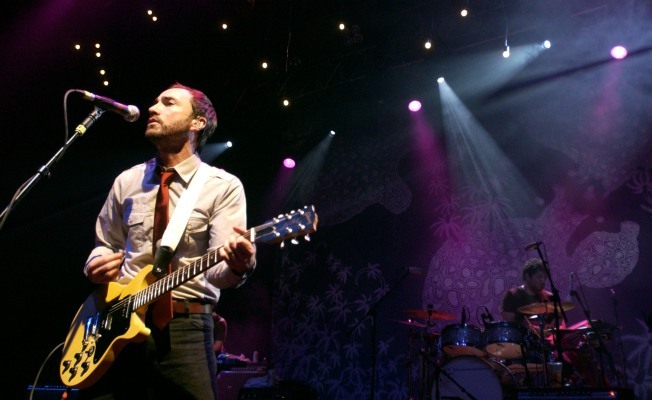 FOR KICKS: Indie mainstay band The Shins may have undergone some personnel changes recently, but that won't affect the enthusiasm with which they rock Terminal 5 tonight -- or the audience lovefest that's guaranteed to ensue. 8PM. ECHOES: Preston Sturges' great 1942 Hollywood satire Sullivan's Travels follows a film director (Joel McCrea) who -- when studio heads refuse to greenlight his making of O Brother Where Art Thou -- wanders off to experience the chain-gang life for himself. Brilliantly, the second half of this Film Forum twofer (part of the Con Film Festival) is O Brother Where Art Thou, Joel Coen's 2000 hit with George Clooney, John Tuturro et. al. as chain-gang escapees. 4:50PM. MAGIC HAT: The lineup at the long-running Monday Night Magic show reads like a who's who of the current magic scene -- which, admittedly, is a fairly short list; this is the best place to see feats of illusion outside of Las Vegas. Theatres at Bleecker, 8PM.